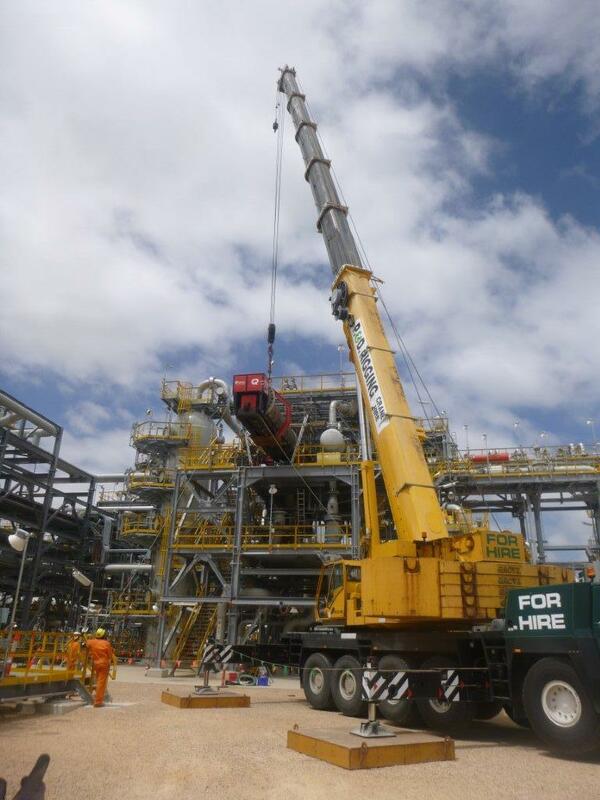 Crude Rationalisation Project – Longford Gas Plant | P. & D. RIGGING & CRANE HIRE PTY. LTD.
P&D Rigging and Crane Hire were successful in the supply of cranes on this project at the Longford Gas Plant. We were contracted by Wood Group PSN to undertake the crane component of the project. This involved the supply of some Dry Hire cranes ranging from 20T Frannas up to 50T Rough Terrain cranes. This project also includes the supply of Wet Hire cranes up to 220T capacity.